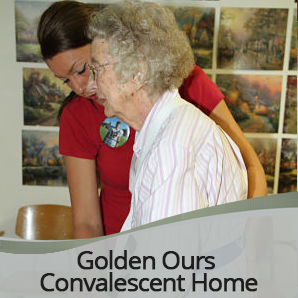 Golden Ours Convalescent Home is a 50-bed Medicaid certified facility committed to providing the highest quality of care to our residents. Golden Ours provides 24 hour nursing care, a selection of delicious and nutritious meals, an array of activities that include fishing at the lake and grilling brats and hamburgers, social services, laundry & housekeeping services, a beauty and barber salon, and transportation for medical appointments. Intergenerational activities with the children from our Hugs-N-Teddy Bears Childcare Center are a highlight for our residents who become "special" grandpas and grandmas to our future generation! Other amenities include two large outside decks that overlook the city park and the childcare playground! 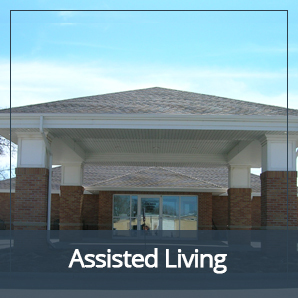 An additional comforting feature is that our facility is physically attached to the community's healthcare facilities that include Perkins County Hospital and Grant Medical Clinic. So medical care that encompasses radiology, laboratory services, specialized physician clinics, and therapies are just down the hall! Golden Ours is special because of its dedicated staff, whom are enthusiastic, cheerful, and dedicated to our mission and values statements. Come for a personalized tour and you will experience the difference for yourself!